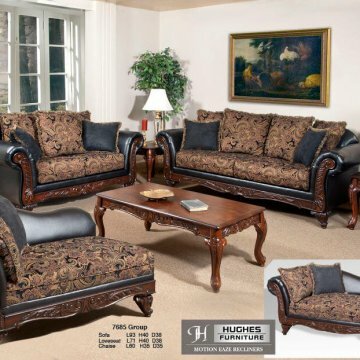 Enjoy both style and great comfort with the Pacific Blue collection from Simmons Upholstery. 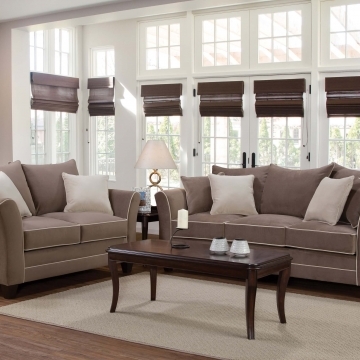 This collection has a tailored look thanks to its clean lines, flared arms, and box cushions. 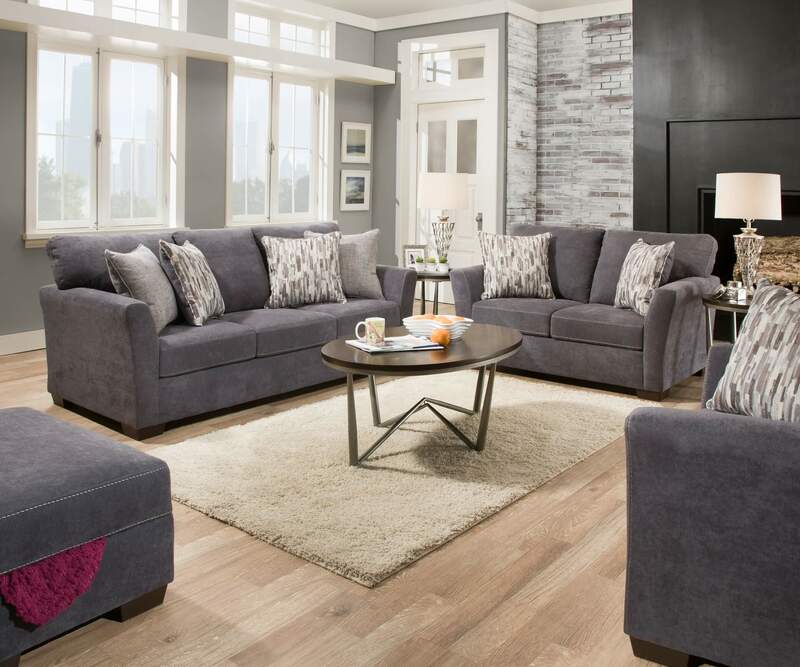 Soft, polyester upholstery in steel blue with bold contrast stitching adds to the look while creating an inviting feel. The frames in this collection are constructed of hardwoods and plywoods with quality foam cushion core construction for seating comfort. Solid and brushstroke-patterned accent pillows in coordinating colors complete the look. 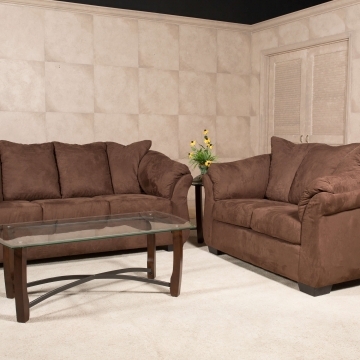 A recliner and queen sleeper with innerspring mattress are also available for this collection.